Alternative healing complements the medical paradigm. As a Medical Intuitive, Marilyn can "see" inside the human body and help her clients find the root cause of their ailments. There have been numerous times when Marilyn would see an enlarged or diseased organ, tumors, ulcers, clogged arteries, bacteria or viruses in the cells, parasites, fungus, etc., and she would strongly advise her clients to see a doctor/specialist. With diagnostic testing, the doctor would discover the same thing - and Marilyn's client didn't know he or she had this illness/disease. Marilyn works closely with the Chief of Surgery at Northside Cherokee Hospital, and with surgeons, Naturopaths (ND's), MD's and Chiropractors. 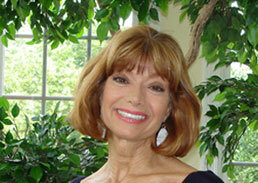 Not only is she a Medical Intuitive, but Marilyn is also a natural Telepath & Clairvoyant. Over the years, Marilyn has worked with clients who had cancer, ulcerative colitis, PNH (a rare form of bone marrow cancer), Lyme Disease, Crohn’s Disease, liver failure, Multiple Sclerosis, Sensory Integrative Dysfunction (children), Tourette Syndrome, PTSD (Post Traumatic Stress Disorder). ALS, terminal illnesses, autoimmune disorders, Fibromyalgia, extreme fears and phobias, extreme childhood traumas, and numerous other emotional traumas, diseases and disorders. Marilyn uses a combination of methods with Reiki to facilitate healing. With a strong interest in helping her clients through the mental, emotional & physical needs of pre-surgery & post-surgery, illnesses and traumas, Marilyn is a dedicated practitioner. She has also helped children with Sensory Integrative Dysfunction, ADD & ADHD. Her technique reflects years of devoted study and meditation. In addition, Marilyn is highly skilled with TFT (Thought Field Therapy). TFT (Thought Field Therapy) heals anything that has an emotional component. Tapping on specific meridians in a specific sequence (called algorithms) while the emotions are percolated to the surface eliminates fears, phobias, anxieties, addictions, anger, depression, stress, panic attacks, embarrassment, guilt, claustrophobia, jet lag, obsession, physical pain, rage, shame, complex traumas and arachnophobia (fear of spiders). Marilyn has been a Reiki Master since 2000, and has been in a private practice as a Reiki Master/Medical Intuitive and teacher since 2001. She teaches classes in Reiki, and gives workshops for self-healing, self-hypnosis, dance & drumming for healing, guided meditations for healing, and mental coaching (Circle of Excellence). Marilyn is also an Ordained Minister. Dance is a wonderful form of healing... It helps increase one's self-esteem, is good exercise, and helps one to be more graceful. From 1975 to 1983, Marilyn was a professional dancer in Jazz and Middle Eastern dance, and she studied Ballet. Marilyn was in 4 dance companies during her professional career in NYC, New York State and Pennsylvania, and was a principle dancer in Jadaya's Near Eastern Dance Troupe. Marilyn was also a dance member of the Poughkeepsie Civic Ballet Company. She owned the largest dance studio in New York State, which had an excellent reputation in teaching proper technique, and had 8 quality instructors who could take their students to a professional level. Marilyn performed in numerous performing arts centers, theaters and dinner theaters throughout New York, Pennsylvania, and Greenwich, CT. She's had a request to continue teaching, and has held classes and workshops in Middle Eastern dance.